Another great camp full of dancing and music and friends is over. This page is maintained so that people can see what next year may be like. Every year in early fall, the Sacramento Country Dance Society sponsors Echo Summit Dance Weekend held at Camp Sacramento in the beautiful high Sierra mountains. In 2015 Echo Summit will be held from Friday, September 18 through Sunday, September 20 and feature musical groups Elixir and the Echo Summit Super Trio (featuring musicians Ryan McKasson, Jeremiah McLane and Bethany Waickman) with callers Nils Fredland and Mary Wesley. Registration fee for these three fabulous days of fun and dancing is $275 per person. Elixir is a high energy dance band and caller combination that combines driving fiddle and guitar playing, and the rich texture and rhythmic excitement of a full horn section. Elixir performs tightly crafted music drawing on a wide range of styles and evoking a variety of moods. Elegant melodies evolve into raucous Dixieland horn riffs; transcendent harmonies, playful improvisations, and rock, swing and reggae-inspired rhythms weave in and out of traditional and original Irish, French Canadian and New England tunes. 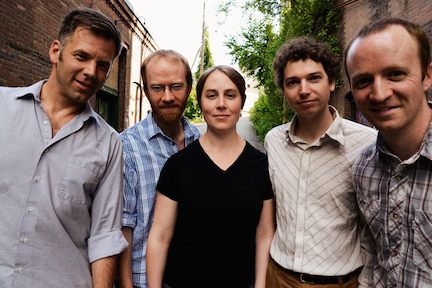 Band members include Nils Fredland (trombone), Naomi Morse (fiddle), Jesse Readlynn (trumpet, flugelhorn), Anna Patton (clarinet) and Owen Morrison (guitar and percussion). The Echo Summit SuperTrio, created just for Echo Summit, will knock your socks off! 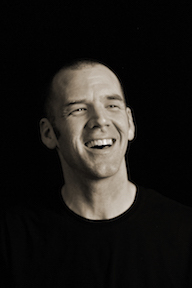 Ryan McKasson, known for his driving rhythms, plays muscular and dynamic fiddle with the Syncopaths. Jeremiah McLane is one of the best keyboardists on the contra scene whose bands include Nightingale and The Clayfoot Strutters. His New England-style music on piano and accordion features influences from Cape Breton and French music. 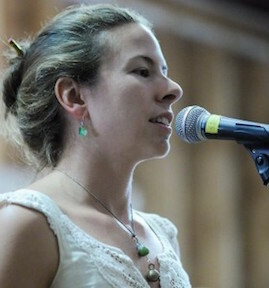 From the hot young New England band Anadama, Bethany Waickman will make her Echo Summit debut on guitar. Infusing old and new tunes from New England, Ireland, and Quebec with a distinctly modern kick, her earthy music has dance at its heart. Nils Fredland is one of the busiest and most sought-after artists in the contra dance world. As a caller, he is widely respected for his expertise and skilled leadership, and beloved for his sensitivity, generosity, and community-minded approach. Nils believes in the life-changing benefits of participatory dance; fueled by energy and passion, he travels coast to coast and overseas to share those benefits with contra and square dancers over 150 days a year. All that and he plays a mean trombone, too! Mary Wesley is a young up-and-coming caller with national dance camp experience making her Northern California debut. A native of Vermont, she travels throughout New England and beyond to follow and share her love of dance. Her gigs here in the West have included Dance Flurry, Dance in the Desert, and Harvest Moon. Mary’s friendly enthusiasm is sure to please. Come to Camp Sacramento, high in the Sierra, for a weekend of great contra dancing and music! Camp Sacramento is two hours east of Sacramento off Hwy 50 just west of Echo Summit at an elevation of 6600 feet. Nestled in the beautiful Sierra Nevada, Camp Sacramento’s refinished wooden dance floor was a hit with dancers last year and will delight again this year. Camp also has lots of places to play or listen to music, hike, and relax. LODGING – Your registration includes lodging in a rustic cabin. The cabins are unheated and nights can be freezing. Space heaters are not allowed because of old electric wiring. Bring warm bedding. Hot showers and flush toilets are available in a separate building. No tent camping is allowed because of concerns about bears. No large RVs or trailers allowed. For those who prefer other housing, please make your own reservations off site. We are unable to reduce the camp fee if you stay off site.